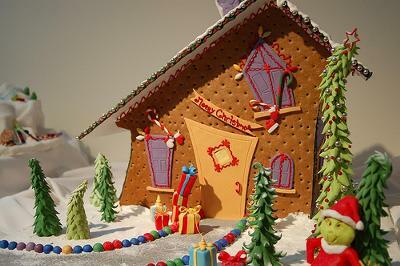 This grinch house photo was contributed by REDphotography on flickr. It looks like the decorations were made from either rolled fondant or gumpaste. Check out the adorible trees!